Our firm recently hosted a ribbon cutting ceremony for the Encinitas Chamber of Commerce. We are proud of our affiliation with the Encinitas Chamber of Commerce, and we are excited to partner with the organization as well as other leaders in the local business community. With an estimated population of 60,000, Encinitas also plays host to countless visitors every year. While the city’s population has grown slightly since 2000, officials anticipate that the local population will exceed 68,000 by 2020. Age Distribution: The majority of Encinitas residents are between the ages of 20 and 64, with roughly equal numbers of residents in the age groups 20-to-44 and 45-to-64. Income Distribution: More than two-thirds of Encinitas residents (68 percent) earn more than $50,000 per year. Nearly one-third (30 percent) make between $100,000 and $200,000, and 14 percent earn more than $200,000 annually. More than half of all Encinitas households (56 percent) are above the Area Median Income for San Diego County. Areas of Employment: While Encinitas’s employment figures are largely comparable to those of San Diego County as a whole, the city has above-average numbers of residents in finance, insurance, management, the sciences, and other professions. Home Values: The median home value in Encinitas is approximately $700,000. As you might expect, home values are highest along the Pacific Coast and the city’s eastern edge. The vast majority of homes in the area were built between 1970 and 1989, with very little new home construction in the past decade. Most homes in Encinitas are owner-occupied. Located at 320 Encinitas Boulevard just east of the San Diego Freeway, the Law Office of Renkin & Associates is a family law firm that represents clients in divorces and other family law matters throughout North County, CA, with particular emphasis on high-net-worth divorce representation. 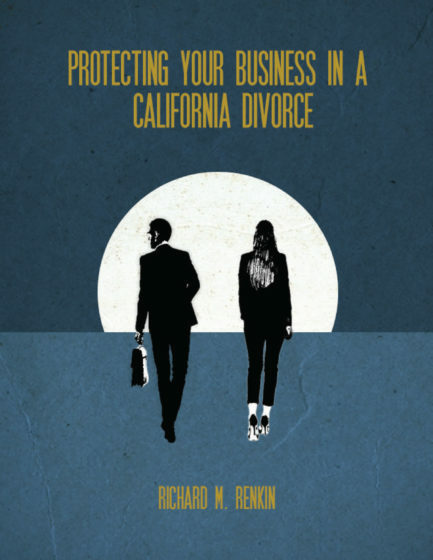 The firm was founded by Richard M. Renkin, a divorce attorney and Certified Family Law Specialist who has been helping clients resolve complex issues for more than 30 years. Get to know Richard M. Renkin. If you need an attorney for a divorce or other family-related legal issue in Encinitas or elsewhere in North County, we encourage you to get in touch. To request an appointment with Richard, please call (888) 837-3564 or inquire online today. Constant Connectivity as a Risk Factor for Divorce Could a Repeal of the Affordable Care Act Impact Your Divorce?